What date is the 2019 Run? This year the Run will take place on Sunday 3 November 2019. Traditionally the Run takes place on the first Sunday in November, with the first cars departing Hyde Park at sunrise. Where can I purchase the event programme? The 2019 programme will be available for purchase in the online shop closer to the event date - the Shop is coming soon. Please continue to check the online shop for availability. 2019 programmes will also be available to purchase on the day of the event, with vendors situated at Hyde Park, Crawley and Brighton during the hours that the Run is in progress. Participants will receive one programme in their participant pack, included within their entry fee and if required can purchase more during the entry/registration process. How do I enter my veteran car into the International Concours D'Elegance that takes place on Regent Street on the Saturday 2 November 2019, the day before the Run? You can apply to be part of the International Concours d’Elegance during the entry/registration process for the Run. We are limited to 100 cars on Regent Street, so based on the number of applications the Concours Committee will decide on which veteran cars will be displayed. You are only able to display your car on the Concours if you are a participant in the Run on Sunday 3 November 2019. What year of manufacture does my veteran car have to be to enter the Run? Every veteran car must be manufactured before 1905. To prove the date of manufacture each entry must be accompanied with a Veteran Car Club of Great Britain (VCC) Dating Certificate or Passport. What is a Dating Certificate or veteran car Passport? 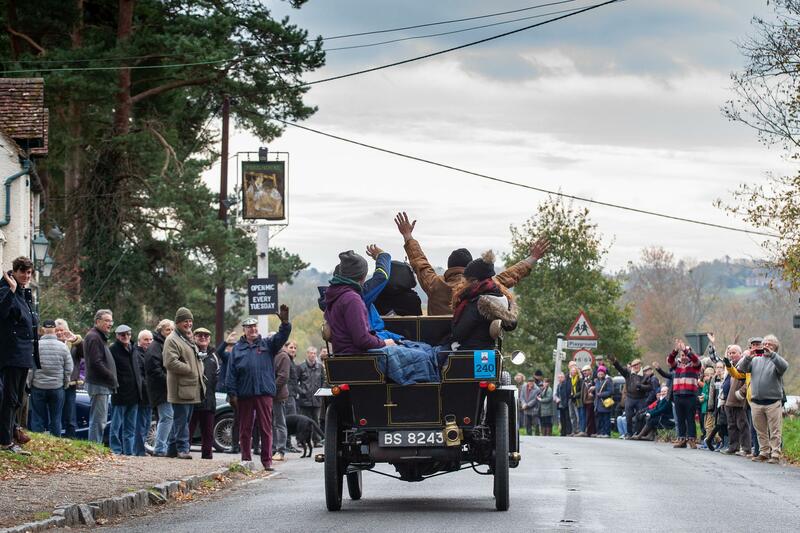 Every vehicle that enters the Run must have a VCC Dating Certificate or Passport issued by the Veteran Car Club of Great Britain’s Dating Advisory Committee advising that the vehicle is manufactured pre-1905. If your vehicle does not have a Dating Certificate or Passport number, please contact the Veteran Car Club of Great Britain Dating Advisory Committee directly: Web: www.vccofgb.co.uk Tel: +44(0)1462 742 818 or email: hq@vccofgb.co.uk. Please note that you can submit and pay for your entry without a Dating Certificate or Passport, but your vehicle will not be officially accepted into the Run until a copy of your valid dating certificate or passport is sent to the Veteran Car Run Organisation Team. Please refer to the Entry Regulations (hyperlink to regs) for further clarification about the entry criteria and the cancellation terms before proceeding with your entry. Should you have any queries, please contact the Veteran Car Run Organisation Team by telephone: +44 (0) 1483 524 433 or email: VCRadmin@goose.co.uk. How do I apply for a Veteran Car Club of Great Britain (VCC) Dating Certificate?